Water tank 530 L / 140 US Gal. Fuel tank 210 L / 55 US Gal. 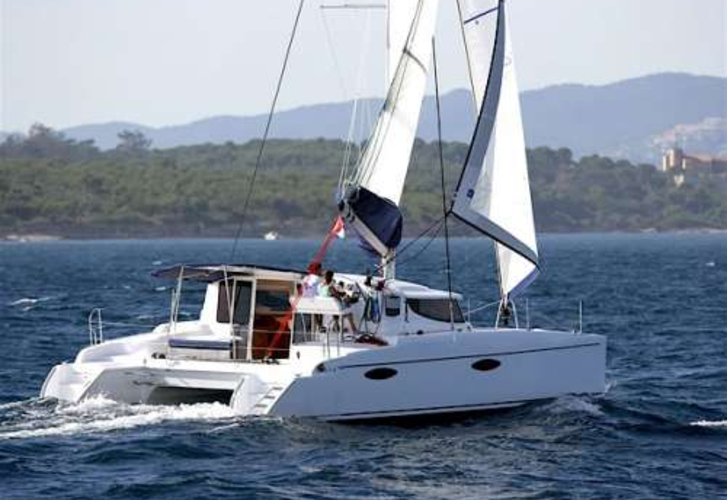 Yacht Mahe 36 named MONTANA has been manufactured in 2010. MONTANA is certified for 6 crew members. Layout of the boat is 6. 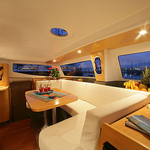 Mahe 36 MONTANA is equipped with 3 cabins. For guests disposal there are 1 WC with showers. You can fill the tank for fuel with 210 L / 55 US Gal. l. and in tank for water it goes even 530 L / 140 US Gal. l. With motor 2 x 30 hp MONTANA can sail really fast. MONTANA is 11.00 m long and 5.90 m wide. Depth is 1.10 meters. 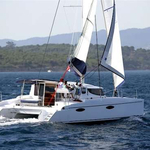 Boat's equipment includes : Mainsail with lazy jack, Bimini top, Anchor electric windlass, Dinghy, Gps, Autopilot, Radio / cd player, Inverter 12v-220v. . Nonrefundable caution is at the level of 5000.00 EUR. Choose our offer and enjoy your holidays on the deck of MONTANA.